As corporations grow, change and prosper in today’s fast-moving, high-tech environment, they are also vulnerable to certain risks that can seriously impact their growth. These challenges include cyber attacks, data loss, and diminishing financial security, all which can result in loss of confidence among customers and other stakeholders, and among capital markets and economies the world over. 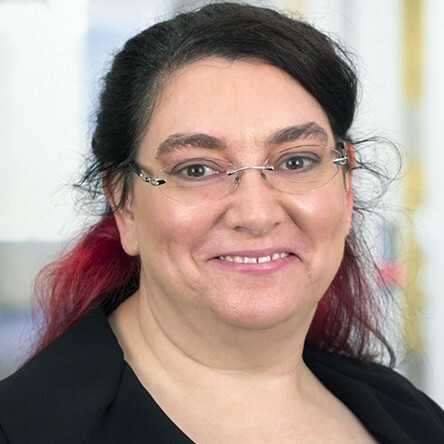 Rebecca Allen Diamond is a Senior Manager at Ernst & Young (EY) — a global-leading company that provides key advisory services in risk and assurance, tax, transaction, information technology, and auditing for corporations in such major industries as Media & Entertainment, Retail and Life Sciences. She is on the front lines of creating a better working world by solving big, complex industry issues that help grow and protect the businesses of some of the largest corporations. In her position as Senior Manager in EY’s Advisory Services consulting practice, Rebecca focuses on information security strategy and program management, data loss prevention, data protection (specializing in the Payment Card Industry), and other related services for EY clients. Headquartered in the San Francisco Bay area, she joined EY in 2010, and previously worked as IT System Security Plan Consultant at the ELORET Corporation where she served at the NASA Ames Research Center. Before entering the world of IT security professionally, Rebecca, a graduate of Golden Gate University with a Bachelor’s of Science degree in Information Technology, taught pre-kindergarten and created websites for charities. Rebecca is an active volunteer for children through the Reading Partners Program and as a Court Appointed Special Advocate (CASA). She enjoys speaking on, and serving as a role model for, women in tech.